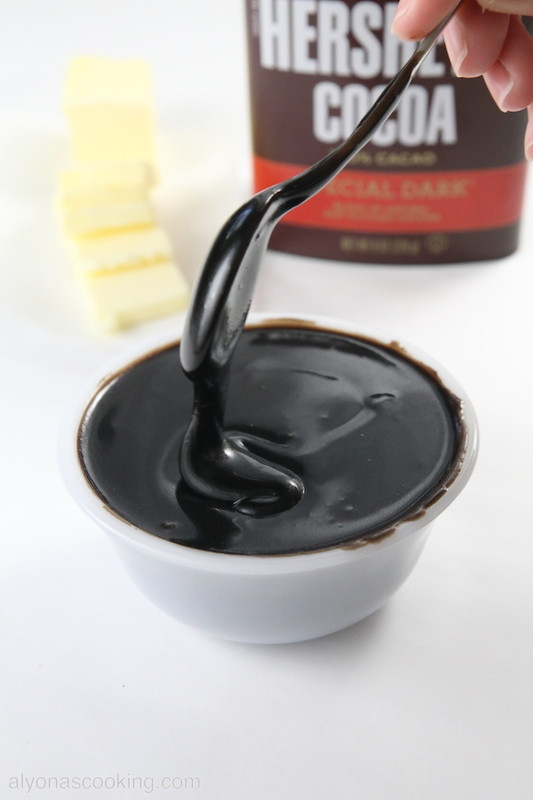 This Cocoa Ganache Recipe is super easy to make and doesn’t harden solid after chilling. 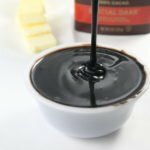 Cocoa ganache is a great alternative to melted chocolate ganache and tastes incredibly delicious & sweet. It’s semi-firm texture creates a great cake topping although cooling this to room temperature is a must (otherwise your frosting can get quite messy.) No worries though, your ganache will not get stiff after cooling completely to room temperature (which is a great thing about this ganache) it will just form a film over the top that will go away once you whisk the mixture again. This ganache gets thicker as it sits, so if your wanting a thicker coat, cooling is key. 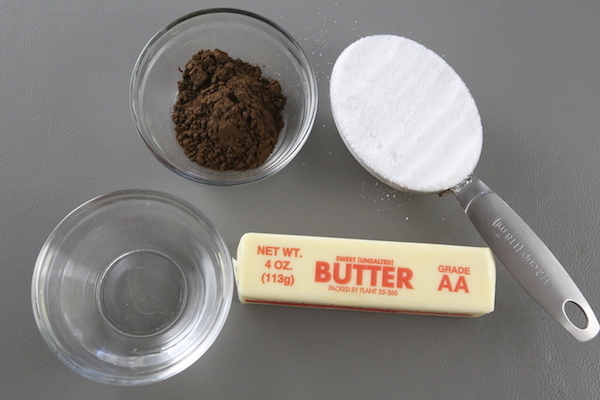 And of coarse regular unsweetened cocoa will work, so feel free to use cocoa of your preference. 1. In a small bowl, whisk together the sugar and cocoa and set aside. 2. In a medium sized saucepan melt the butter in 3 tbsp of water over med-high heat. 3. 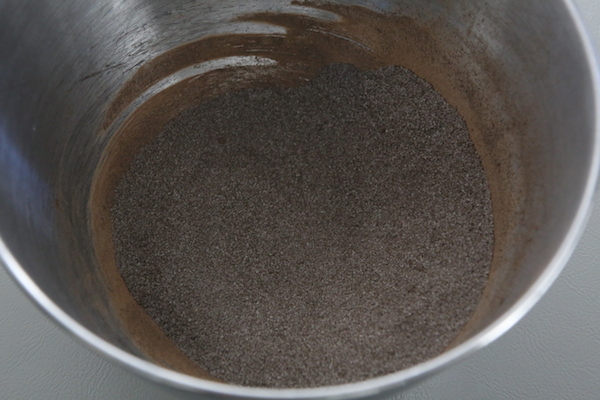 Whisk in the cocoa mixture until sugar granules dissolve (about 2-3 minutes) and remove from heat. 4. Cool completely and whisk before using. This Cocoa Ganache Recipe is super easy to make and doesn't harden solid after chilling. 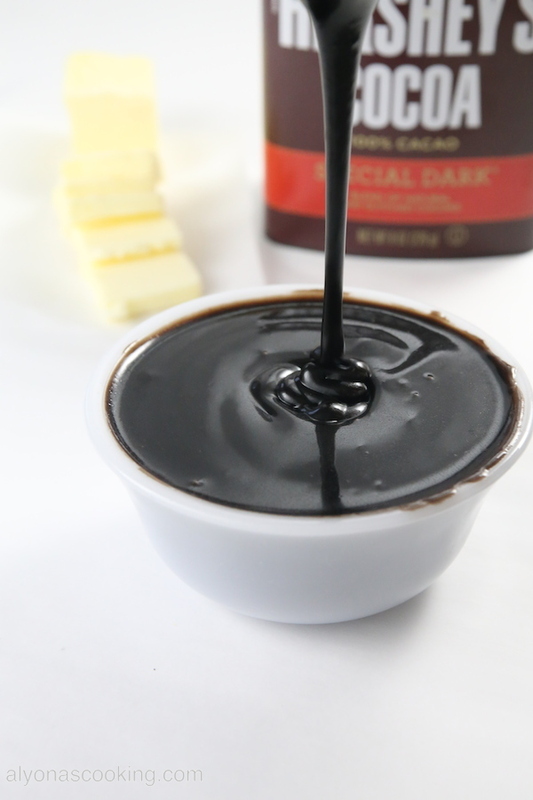 Cocoa ganache is a great alternative to melted chocolate ganache and tastes incredibly delicious & sweet. 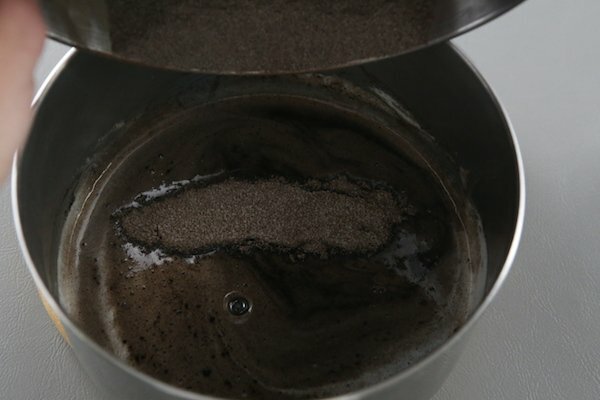 In a small bowl, whisk together the sugar and cocoa and set aside. 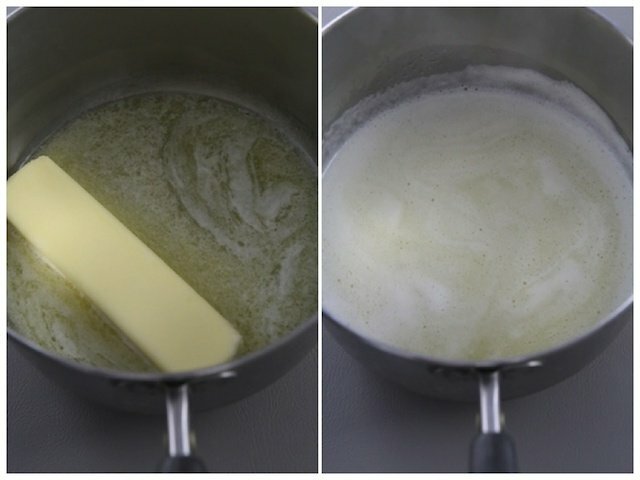 In a medium sized saucepan melt the butter in 3 tbsp of water over med-high heat. 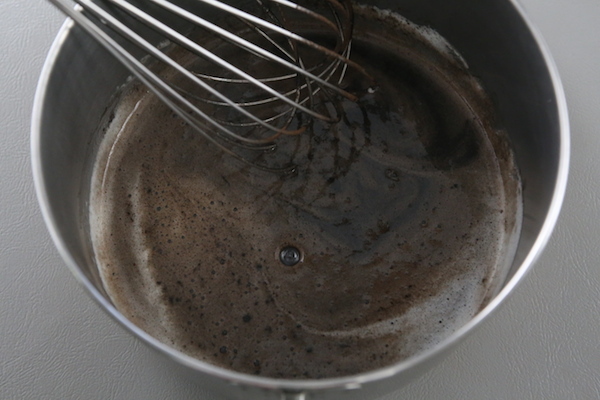 Whisk in the cocoa mixture until sugar granules dissolve (about 2-3 minutes) and remove from heat. Cool completely and whisk before using.